TC Harrison is one of the UK's largest privately owned motor groups, with over 500 employees and a turnover of £200 million from sales of over 9,000 new and used cars each year. With 6 Main Ford dealerships spread across the Midlands and East of England TC Harrison faced two challenges. How could they link together the showrooms and Accident Repair Centres across two Customer Marketing Areas to operate as one business' And of even greater importance, how could they improve the level of service and satisfaction delivered to their customers - and prove it? For many years the TC Harrison showroom that stands in the shadow of Derby County FC's modern stadium at Pride Park had been using a traditional call centre solution. The installation of a call centre into a motor dealership in the late nineties was quite revolutionary at the time. Twelve years on and TC Harrison wanted to take a lead on their rivals once again, by taking advantage of the business benefits provided by the latest state of the art technology. An experienced consultant was engaged to scope the project and scour the current market for suitable manufacturers. From a short list of four vendors it was decided to go ahead with a maximiser solution from British based SpliceCom, after it had won out against the offerings from three North American contenders. The prevailing factors were the maximiser OS system architecture, which allow it to always operate as ONE system, even when distributed across a multi-site environment and Vision Call Centre's ability to do the same when distributing Agents and Supervisors across dealerships. Finally, the ease with which the networked Maximiser OS system can be administered and managed centrally by TC Harrison's Bakewell based IT department was also seen as key. 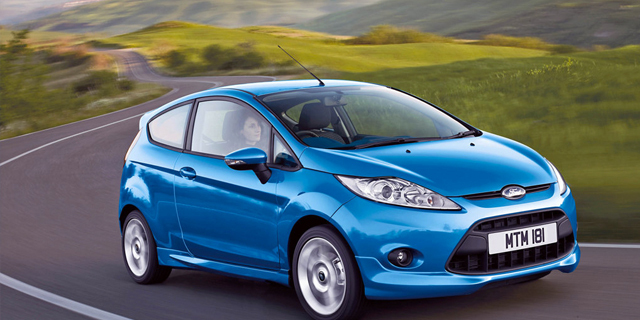 The initial order included three of the Ford sites at Burton upon Trent, Chequers Road, Derby, and Pride Park, Derby. The first install took place at Chequers Road, home of the Parts Division for TC Harrison's Ford and JCB operations, and which also houses the parts call centre hub for the Midlands region. Burton followed with Pride Park being the final phase of the initial installations. All three sites were now networked and running transparently as ONE single SpliceCom system. Creating a single unified networked telephone system was one challenge but delivering a solution that would improve the service that TC Harrison delivered to their customers' was the next target. This was achieved by installing Vision Call Centre, SpliceCom's latest addition to their web-based application suite. Vision Call Centre has been designed and written by the same team that developed the Maximiser OS based IP PBXs, making it is more than an integrated solution - it becomes an embedded application within the telephone system. This makes it easy to install, configure and maintain, whilst being reliable and consistent in its operation and information that it generates. The group-wide Sales and Service call centre, based at Pride Park was initially operating directly from a system hunt group. However, TC Harrison worked with SpliceCom Community Advanced Partner Voice2Voice who designed and delivered a Vision Call Centre solution in 6 weeks from start-to-finish. This included project meetings, programming and physical installation. Completion codes have enhanced agent productivity and helped call centre supervisors to take control of their agents. Monitoring agents calls for training purposes and the provision of easy to archive and retrieve call recording has moved TC Harrison's call centre forward considerably. Through wallboards and desktop dashboards, Vision Live delivers real-time statistics for supervisors, agents and even senior management to ensure business critical SLAs are met. Also given that the Call Centre is operating across multiple sites it was important to be able to measure line utilisation to effectively manage rental spend. Visibility of busy status of agents and staff at all sites to assist in transferring calls, the PC based PCS 60 personal productivity application and voicemail, all make employees easier to reach and therefore more productive. Finally, with a keen eye for detail, Voice2Voice have imported the 75-year-old TC Harrison logo into the SpliceCom IP PBX so it's shown on the brand new colour LCD displays of the PCS 560 IP Phones when they're not being used. Phase two of the TC Harrison project will involve the replacement of telephone systems in the Southern region dealerships; Peterborough, Huntingdon, Stamford and St. Neots. maximiser will replace two Ericsson and two Samsung systems that are all over 10 years old. The final Maximiser OS IP PBX solution will span 8 sites and support a total of 400 extensions. TC Harrison also plans to integrate their CRM package with Maximiser OS, allowing customer records to be screen 'popped' automatically when they call.